Pixar Pier will include characters and themeing from all the popular Pixar movies. Disney will even have a “Pixar Fest” event in 2018 to celebrate the opening of the new area. We’ll bring you more details as they’re released. Along with Paradise Pier getting a new theme Disney is increasing Pixar’s presence in Disneyland. The popular Pixar parade will be moving from California Adventure over to Disneyland Park. 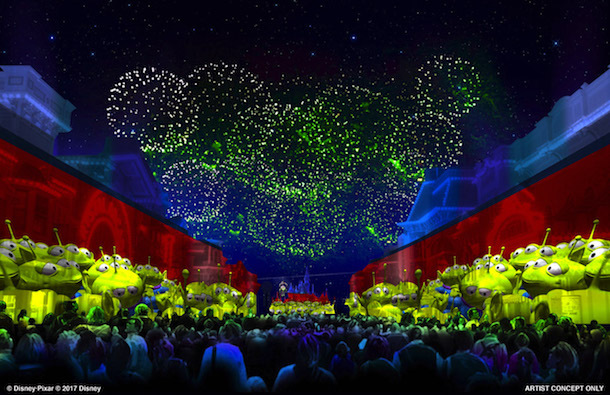 Disneyland will also get more Pixar in the nightly fireworks. Since the Pixar parade will be moving Disney has announced that Paint the Night parade will be moving over to California Adventure! I had a feeling they were going to bring that back!! No word on when we can expect these changes to happen but we’ll let you know as soon as Disney gives us more details. Looking forward to more Pixar? What’s your favorite Pixar film? Leave your comments below or as always, feel free to reach out on Twitter, Instagram or Facebook!